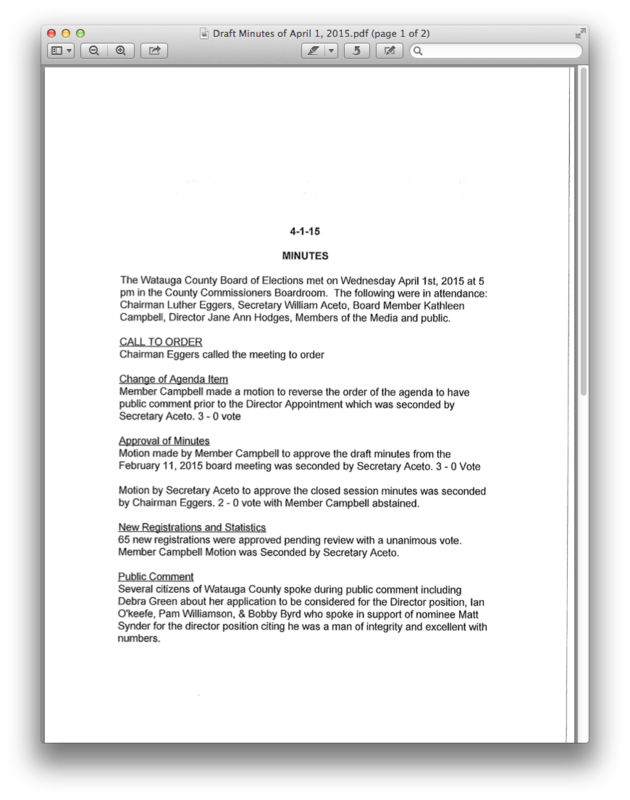 Watauga Board of Elections Secretary Bill Aceto has turned in his draft minutes for the April Fool's Day meeting of the board, the one during which there was a vote on calling the question to appoint Matt Snyder but no actual vote on appointing Snyder. 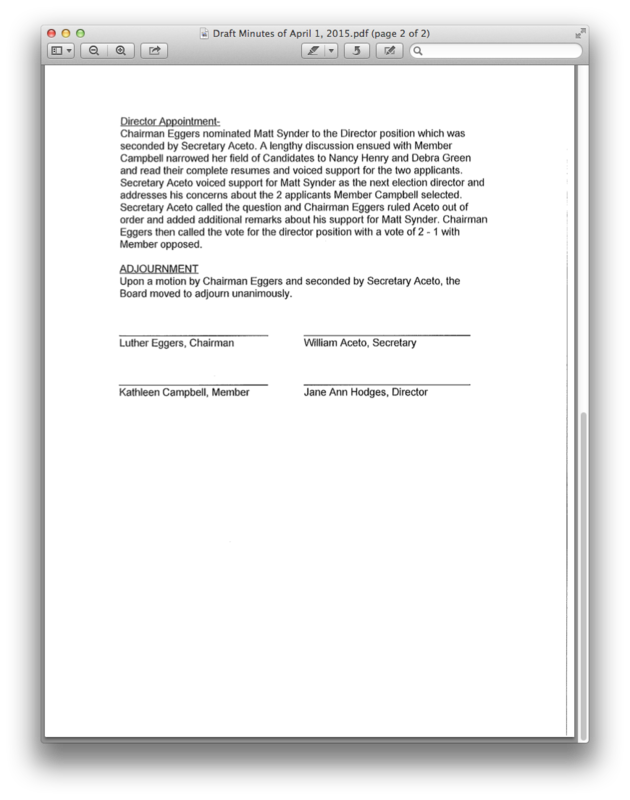 Under the section headed "Director Appointment" on the second page, these fictional minutes say, "Secretary Aceto called the question and Chairman Eggers ruled Aceto out of order and added additional remarks about his support for Matt Snyder. Chairman Eggers then called the vote for the director position...."
Well, that didn't happen, and there were dozens of citizens in the room who know it didn't happen. Eggers certainly didn't rule Aceto out of order. The vote was taken, 2-1, on Aceto's calling the question, and Chair Eggers was angrily stalking out the back door as people in the audience were calling out, "You never voted on the appointment." Another thing: under the section of these minutes headed "Public Comment," Aceto writes that Pam Williamson spoke during public comment. She did not speak. This lousy piece of public malfeasance -- and it's not as though there wasn't already a history of Aceto's simply making the minutes fit the reality he's peddling -- constitutes a transparent attempt to make an error committed in the April 1st meeting simply disappear. Like everything else this corrupt elections board has done since August 2013, the fiction is visible from outer space.